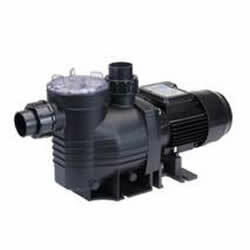 The Aquamite pool pump has been designed for operating swimming pools and above ground pools. As well as ornamental ponds and water features. 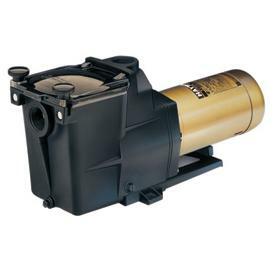 Waterco Pool pumps are covered by a 3 year warranty on the pump wet end, 2 year warranty on the pump motor and 1 year warranty on the mechanical seal. Available in 1 H.P., 1.25 H.P. , 1.5 H.P., 2.0 H.P. and 4 H.P. FloPro is designed with an innovative adjustable base, allowing for simple replacement of existing pumps such as Hayward® Super Pump® or Pentair® WhisperFlo® or SuperFlo® pumps. With the FloPro, no plumbing adjustments are required, thereby enabling cost effective pump replacement. Quality performance, maximum efficiency and dependability, with guaranteed results for all your pool and spa combination needs, all in an ultra-compact body. Equipped with ergonomic cam-lock lid for easy alignment. Energy-efficient pump providing uncompromising power to filter and re-circulate pool and spa water while keeping costs down. 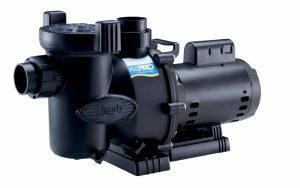 Adjustable base allows for easy direct replacement of Hayward Super Pump, or Pentair WhisperFlo and SuperFlo pumps. FHPM1.0CND PUMP, 1.0 MEDIUM HP FLOPRO, CANADIAN. FHPM1.5CND PUMP, 1.5 MEDIUM HP FLOPRO, CANADIAN. FHPM2.0CND PUMP, 2.0 MEDIUM HP FLOPRO, CANADIAN. FHPM2.5CND PUMP, 2.5 MEDIUM HP FLOPRO, CANADIAN. FHPM.75CND PUMP, .75 MEDIUM HP FLOPRO, CANADIAN. FHPM1.0-2CND PUMP, 1.0-2 MEDIUM HP FLOPRO, 2 SPEED, CANADIAN. FHPM1.5-2CND PUMP, 1.5-2 MEDIUM HP FLOPRO, 2 SPEED, CANADIAN. FHPM2.0-2CND PUMP, 2.0-2 MEDIUM HP FLOPRO, 2 SPEED, CANADIAN.